A slender, medium-sized and cryptically marked tawny-brown owl with a rusty/buff facial disc, orange eyes and two prominent ‘ear tufts’ from which it derives its name. 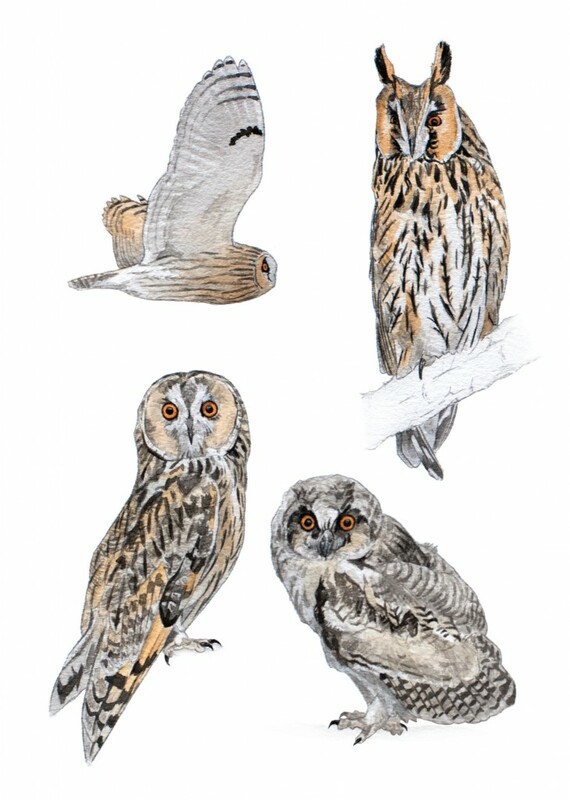 The tufts are not actually ears but the owl uses them (either flattened or erect) for non-vocal communication (e.g. to indicate a threat posture). The tufts are also used to aid concealment when the owl is roosting by breaking up the visible contour of the head. This owl is typically nocturnal and hunts over open ground such as lowland heaths and agricultural farmland, feeding predominantly on small mammals but will also take small birds, insects, frogs and snakes. It generally takes over an abandoned craw’s nest for breeding, and favours conifer plantations close to open ground. It can also be found roosting in dense copses and thick hedgerows. Communal winter roosting is not uncommon.